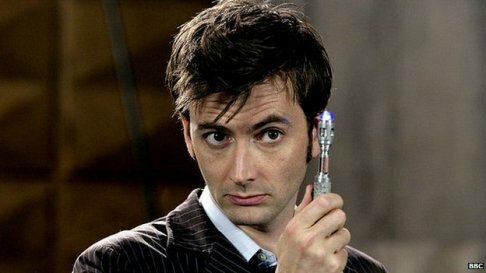 How would I cope without my Sonic Screwdriver? In my last post I announced that I planned a new series: Travels through the Blawgosphere. Well here it begins with Episode #1. The theme of this first Episode is Innovation in legal practice. Where better to start on Innovation and the law than with a blog post by Stephen Allen aka LexFuturus. Stephen only started blogging at LexFuturus on 23 March 2012 but he has already blogged 30 posts and has fast become one of my favourite blawgers. He warns that his blog may contain satire. It does and is all the better for it. It also requires delivery. Innovation unimplemented is merely an idea and ideas will not make you more attractive to your customers. Those wanting carrots won’t buy turnip on the basis you thought about growing carrots. The key is to understand what the market needs to assess the options for delivering it and to select the right seeds of innovation to plant well – don’t be afraid to reject the weak or unsuitable. Once planted then tend to them, support them, nuture them and, eventually, harvest them. One last thing, size isn’t everything – as our turnip farmer found out. Customers don’t care about your economies of scale, getting bigger is neither innovative nor a substitute for innovation. What customers really want is choice, those that innovate to deliver genuine choice will not just survive but will prosper. That was the spark that resulted in Stephen blogging about neeps. Twitter does this. Several of my blog posts have been inspired by Twitter exchanges. There is a forgotten part of innovation that I don’t think sits well with the current lawyer culture. I think it partly explains why lawyers aren’t that innovative. Innovation is not a turn key, a mouse click, a download or push button. Innovation is many, many things but for me, (and after all this is my site), it is vision. I said partly responsibility for lack of innovation. What people forget when talking about change and innovation is that to change you have to see a clear value for doing it. I don’t think lawyers have seen that value yet. That does not mean that they never will. Jon is right. On the whole lawyers don’t have vision (or if they do they don’t see the vision through) and don’t see the value in innovating (or if they do, again, they don’t see the potential vision through to create the value). That brings us back to Stephen Allen and his comments on unimplemented innovation. One of the problems I see with lawyers innovating is the partnership model. Whilst firm’s could delegate innovation to a ‘Director of Innovation’ (Stephen Allen is one, perhaps the only one, of those) they invariably stifle innovation by giving all partners a say. Thus you have ‘innovation’ by committee resulting in the likes of ‘camel’ computing as highlighted in my post on Lex2012. One thing that got me intrigued about law was that industry-wide it has the same kind of structure as older industries that have been disrupted by technology: a small class of people that’s based on control of information, protected by regulations. Law hasn’t had its Napster moment yet, though everyone recognizes it’s an incredibly inefficient structure now and the legal profession is in incredible disarray. Part of it is because the industry hasn’t been innovative – not just in training lawyers but in practice. Lawyers tend to be sort of tech-adverse – I hear lots of stories like this one about the partner at a firm who gets his emails printed, writes responses in longhand, and has his secretary type the replies. It will be interesting to keep an eye on Robot Robot & Hwang and see what innovations emerge. I reckon there is a good chance as Tim clearly has the vision and sees the value. Furthermore he is unlikely to be deterred by his two partners, Robot & Robot! 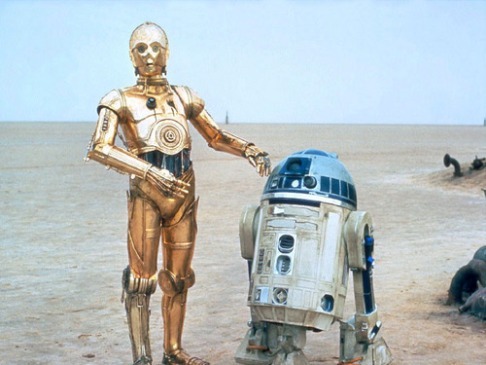 Have you seen Hwang, R2D2? Firms who are serious about the long-term future of their commercial practices need to incentivise portions of their partnership to think innovatively in these changing times. Because if the entire partnership remains incentivised to keep on billing for this year’s targets, then we have a turkeys’ voting for Christmas scenario for any partner who goes out on a limb in the way I’m suggesting. Point is, law firms incentivise their staff for the here and now. Not for the there and future. Due to the growth in numbers and excellence in the in-house side of the profession, without a sea change in product offerings the seesaw will continue to tip and commercial teams in law firms will continue to become the ever poorer cousins of the corporate powerhouse departments. They will be stuck at the top of the seesaw, unable to get off without jumping. The landing may not be soft if their corporate law colleagues do not feel like catching them. Another area to watch. Will those firms heed Tim’s advice or will they continue to concentrate on the here and now rather than the there and future? Starting a law practice is much more difficult than firing up your laptop, moving to an exotic location, throwing up a cool website, and letting the dollars roll in because you’ve got “Esq.” next to your name. When your name is on the door, you’re responsible for everything that happens. Even if it’s inconvenient, not fun, and will totally ruin your weekend. (which would be like, such a bummer). You don’t just wake up a good lawyer, either – it takes years of dedication to the practice and personal sacrifice. Tessa Shepperson on 28/05/2012 at 7:59 am. Interesting post, made particularly compelling with the picture of the delectable Mr Tennant at the top. Lawyers and innovation do not sit well together. Largely I suppose because lawyers training is towards being risk adverse,whereas innovation is all about risk and having a go. I fear that lawyers are not going to be able to hang on to sole access to legal knowledge/information, as many organisations are dedicated to getting it out there, preferably for free. However lawyers do have a bit of a monopoly in understanding and interpreting it, as it often takes many years to really understand and obtain excellence in areas of legal work. Clients and potential clients have enough to do keeping up to date with their own area of work without having to be lawyers too. So an approach where legal services are offered on the basis that they will make the clients life easier should find a market. I suspect though that were we to step into the Tardis and see what the profession is doing in say, 50 years time, it would be rather different. I wonder what we would see?